At one point the Rim Fire near Yosemite National Park had consumed acreage the size of the city of Chicago. As of Wednesday, though, the fiery monster’s appetite has scorched 290 square miles, an area the size of New York City. As a result, the huge blaze now ranks seventh among the largest wildfires in California’s recorded history and is still only 23 percent contained, according the the state’s Department of Forestry and Fire Protection. And as fallout from the growing conflagration increasingly looms over but has not yet fouled the Hetch Hetchy Reservoir, which supplies San Francisco with 85 percent of its drinking water, San Francisco toxic tort attorney Greg Brod is concerned that the Bay Area may not yet be out of the woods for some time on the issue of water contamination. While Gov. Jerry Brown declared a state of emergency for San Francisco last week and ash and smoke particles from the wildfire drifting into Hetch Hetchy have not yet reached excessive levels as set by the federal Environmental Protection Agency, there is still the chance that conditions could deteriorate in the near future as well as down the road. In the short term, the San Francisco Public Utilities Commission has been working on contingency plans should ash and other byproducts from the Rim Fire make the reservoir’s water unsuitable for consumption. 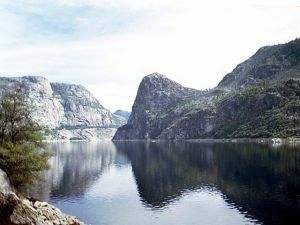 However, according to a report in The New York Times, even if firefighters manage to contain the blaze, and ash and smoke particle levels do not exceed a safe threshold in the reservoir, a longer term threat to Hetch Hetchy water will linger well after the fire is extinguished. As ash and other debris from the voracious Rim Fire continues to be deposited in the area around Hetch Hetchy, the resulting residue will build up over the landscape and could potentially wash into the reservoir upon the arrival of the state’s rainy season in the fall. Compounding the problem is the fact that Yosemite National Park experienced one of its driest winters on record through the end of the season this year and the snowpack in the Sierra has consequently been below average, according to statistics from the National Weather Service. This is crucial because precipitation-poor winters followed by the normally drier spring and summer months sets a parched table that is more vulnerable to serious runoff from storms when the rainy season resumes in the fall. In addition, the fact that Hetch Hetchy, at 83 percent of capacity, is one of many reservoirs in California that are currently at below-normal water levels, the Bay Area can ill afford to lose any of its crucial water supply from the Tuolumne River held in reserve by the O’Shaughnessy Dam in the Hetch Hetchy Valley. The experienced attorneys at the Brod Law Firm hope that the nearly 3,600 firefighters and other emergency personnel trying to contain the Rim Fire are able to bring the blaze under control without further destruction to the Sierra or fallout surrounding the Hetch Hetchy Reservoir. However, our toxic tort lawyers will continue to monitor the situation and advise anyone who has been exposed to contaminated water to contact us for a free consultation.